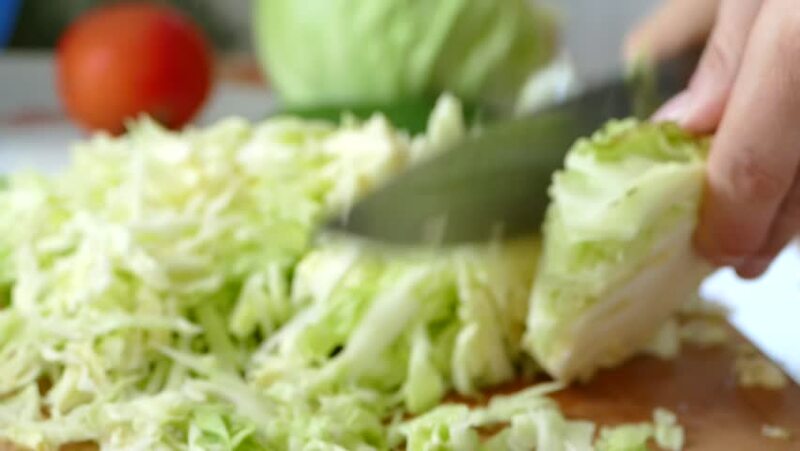 Cutting cabbage and other vegetables on a cutting board in the kitchen. Vegetarian healthy food. hd00:35Spinach, cooked in a frying pan with red onions. This artful close up shot shows steam rising up from the mixture, before a wooden spoon comes in and starts stirring later on. 4k00:17Rain falls in the garden The background is a tree with light sunshine. chiangmai,thailand.